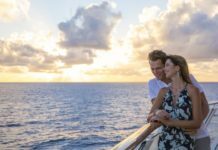 “Now and Forever — The Music of Andrew Lloyd Webber” will be the entertainment highlight on board Oceania Cruises’ new 1,250-guest Riviera, which debuts in May. A 10-member cast of singers and dancers will perform music from many of Webber’s best-known shows, including CATS, The Phantom of the Opera and its sequel Love Never Dies, Joseph and the Amazing Technicolor Dreamcoat, and Jesus Christ Superstar. Riviera will also feature three additional production shows: “Up in Flames,” showcasing the music of Elton John and Billy Joel; “The Dawning of Aquarius,” a 60s review; and “Rock On,” a love story with a rock-and-roll vibe. 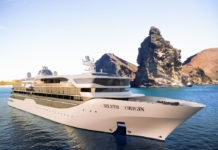 Following her maiden voyage on 16 May, Riviera will spend the summer and autumn cruising the Mediterranean and then cross the Atlantic to operate a series of winter Panama Canal and Caribbean cruises. 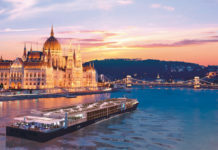 For more information on Oceania Cruises or to order a brochure, visit www.oceaniacruises.com or call on 0845 505 1920. Find out about what’s happening on board in every issue of Cruise International!